For whom (target group) : This is a comprehensive introductory or foundation course for all those who wish to study and obtain essential training in the basic skills and techniques of psychological counselling with an introduction to the different schools and approaches of psychotherapy. 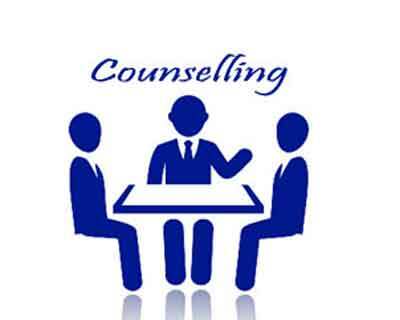 This course is also suitable for practicing trainee counselors and other social workers who want to broaden their theoretical knowledge and practical skills in psychological counselling and psychotherapy, or for those who wish to embark on further academic and/or professional studies and clinical training in the field of advanced counselling psychology and psychotherapy. Entry Requirements : University Graduates or Members of recognized Professional bodies, or Members of the Clergy, or Humanitarian / NGO / Social workers with Two passes at the G.C.E A/L, or Professional / Academic Diploma or Advanced / Higher (National) Diploma holders or Holders of a Certificate / Diploma in Psychology or Social Work, and Age not less than 20 years, and Fluency of the English language is essential. The award of the IMH Certificate in Counselling & Psychotherapy (CCP) will be contingent upon passing a 2-hour internally set unseen MCQ examination paper to be answered on a closed book examination mode. The minimum pass mark is an exam score performance of 70%. Course Start Date : Next Group Class: Saturday the 27th of April 2019 from 10.00 a.m. to 1.00 p.m (A maximum of only 12 students will be enrolled for the group class). Please register yourself for this course by paying the first installment of Rs. 13,000/- on or before the 12th of April 2019.